Dionysios was born in Veria, Greece, and moved to the UK to continue his opera studies aided by a scholarship from the Panos4Life Society. He is a Professor of Historical Stagecraft at the Guildhall School of Music and Drama in London, and is completing his DPhil studies in Music at New College, University of Oxford, funded by the Onassis Foundation and the New College 1379 Society Old Members Scholarship. His performance studies were funded by the Hellenic College Trust and the Joan Conway Fund. He read music at City University London while having performance tuition at the Guildhall School of Music and Drama with Robert Dean. In 2012 he graduated at the top of his class with a first-class BMus (Hons) degree, and was awarded the Worshipful Company of Musicians Prize for his outstanding undergraduate final-year dissertation entitled Rhetoric, Affekt and Gesture in Handelian Opera: Towards a holistic approach to historically informed performance. In November 2012 he was profiled in The Independent as an example of a successful graduate music student in the UK. He was awarded the MPhil in Music Studies from the University of Cambridge in 2014, for which he was funded by a scholarship from the Onassis Foundation, and grants from the A. G. Leventis Foundation and the South Square Trust. He began his study of stagecraft as a drama student in Greece, and in 2011 he started working on a research project that aims to address the discrepancies between the visual and auditory aspects in present-day historically informed representations of Baroque opera. In addition to his academic research, his work as a singer and director includes practical experimentation in historical stagecraft and Baroque gesture. He trained in Baroque gesture with Jed Wentz, Ian Caddy, Andrew Lawrence-King, Steven Player and Victoria Newlyn, and he has given several talks about historical stagecraft at the Handel House Museum. During the academic year 2012-13 Dionysios was offered the directorship of City University’s opera ensemble. As the tutor of the City Opera Ensemble, he gave undergraduate music students theoretical and practical training in operatic performance, and directed a successful production that explored Italian opera through the centuries, which was later revived for the university’s summer music festival. In the summers of 2013, 2014 and 2015 he worked as a tutor of Baroque gesture for the Baroque Opera Studio at the University of Burgos in Spain, taught historical acting at the International Rameau Ensemble and Benslow Music Trust, and has led a number workshops and masterclasses in the UK and abroad. He has directed four operas at Teatro Principal de Burgos in Spain, Monteverdi’s L’Orfeo (2013), a Purcell double-bill of The Indian Queen and Dido and Aeneas (2014), and Cavalli’s Gli amori d’Apollo e di Dafne (2015). Other directing work includes Tamerlano, Partenope and Rodelinda by Handel, Livetta e Tracollo by Pergolesi for Clare College Music Society in Cambridge, and Molière’s comedy The Doctor in Spite of Himself performed in March 2015 at the Burton Taylor Studio in Oxford. 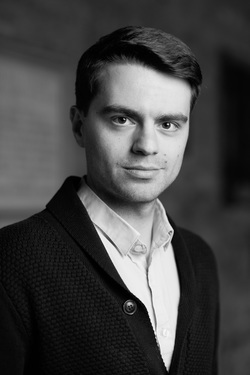 In May 2015 he directed Timothy Kraemer’s children’s opera Ulysses and the Wooden Horse, in June 2015 Coward’s comedy Hay Fever, in October 2015 Purcell’s dramatic opera The Prophetess at the Keble O’Reilly Theatre in Oxford, and in December David Earl’s new opera Strange Ghost in Cambridge Festival Theatre. In April 2016 he directed Blow’s Venus and Adonis in Benslow Music, and in May 2016 Purcell’s The Fairy Queen at the Oxford Playhouse and Casanova’s Conquest, a pasticcio devised by Julian Perkins and Stephen Pettit, at Kings Place London. Dionysios started his classical singing studies in 2005 at the Philippos Nakas Conservatoire in Athens, and his acting studies at the Theatre of Changes drama school. In 2009 he took the City Opera course at City Lit and studied at the Morley Opera School in 2010. He has also attended the Complete Singer course, the Ardingly International Music School, the City of Segovia International Music Course in Spain, and had Alexander Technique training with Brita Forsstrom. He participated in the British Youth Opera 2011 Easter Workshops and their 2012 production of Smetana’s The Bartered Bride in which he sang in the chorus and understudied the role of Mícha. He sang the roles of Henry in Danyal Dhondy’s opera The Secretary turned CEO which premiered at the 2013 Tête à Tête Opera Festival, Father Philippe in Holst’s The Wandering Scholar, Garibaldo in Handel’s Rodelinda, Caronte in Monteverdi’s L’Orfeo, and Father Time in The Masque of Time, devised by Andrew Lawrence-King and directed by Victoria Newlyn. He created the role of the Whale in Danyal Dhondy’s opera Just So at the 2012 Tête à Tête Opera Festival, and sang the bass solos in Purcell’s Ode on St Cecilia’s Day conducted by Michael Sanderson and Mozart’s Requiem conducted by Michael Fields. In 2011 he sang the roles of Plutone in Peri’s Euridice with the Guildhall Lutes and Voices under Andrew Lawrence-King, Severino in the première concert performance of Mario Ferraro’s new opera The Moonflower conducted by Andrew Morley, and Bartolo in Mozart’s Le Nozze di Figaro with Thames Philharmonia conducted by Byung-Yun Yu. He also played the roles of Uberto in Pergolesi’s La Serva Padrona conducted by Peter Foggitt, and Simone in a concert performance of Puccini’s Gianni Schicchi with the Oxford and Cambridge Musical Club Orchestra conducted by Christopher Fifield. In 2010 he played Masetto in Jenny Miller’s production of Mozart’s Don Giovanni, and the Priest in Tom Weil’s experimental opera Chance at the Tête à Tête Opera Festival. He has also played the role of Polyphemus in Handel’s Acis and Galatea conducted by Will Carslake, the Imperial Commissioner in a production of Puccini’s Madame Butterfly for Mantissa Opera, Antonio in a production of Le Nozze di Figaro for the Complete Singer, and the Badger in Janácek’s The Cunning Little Vixen conducted by Tom Seligman. His roles in opera scenes have included Leporello (Don Giovanni), Don Pasquale (Don Pasquale), Zoroastro (Orlando), Colline (La Bohème), Sergeant of Police (Pirates of Penzance), Figaro (Le Nozze di Figaro), Osmin (Die Entführung aus dem Serail), Dulcamara (L’elisir d’amore), Lotario (Flavio), Sarastro (Die Zauberflöte), Barbe-Bleue (Ariane et Barbe-Bleue), Kecal (The Bartered Bride), Betto (Gianni Schicchi), Rocco (Fidelio), Watergnome (Rusalka), Coppélius (Les contes d’Hoffmann), Alindoro (La Cenerentola), Pish-Tush (Mikado), Don Alfonso (Così fan tutte), and Melisso (Alcina). Dionysios has worked with companies including Cambridge Handel Opera, MidAmerica Productions, Riverside Opera, Tara Arts, Mantissa Opera, Barefoot Opera, Lucid Arts, Rose Opera Company and Skull of Yorick Productions. He toured with Unexpected Opera in their 2009 production of The Barber of Savile Row, and sang in the 2009 Longborough Festival Opera production of La Bohème and their 2010 Young Artists Concerts. A version of this biography is also available in Français, Ελληνικά, and Español.